Over the past several years, patient privacy has become a major topic of concern. As patient information gets converted to digital format, organizations expose themselves to certain risks. place certain administrative, physical and technical safeguards for electronic patient data. Among other things, Covered Entities are required to have all Windows and other patches up-to-date. Avrom’s Network Management RMM service ensures that approved patches will be applied automatically, and our network assessment scans help insure that network security problems are found and solved immediately. 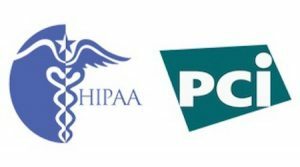 HIPAA is now the law, and carries serious penalties for non-compliance. Let Avrom Systems help your organization meet HIPAA compliance requirements.